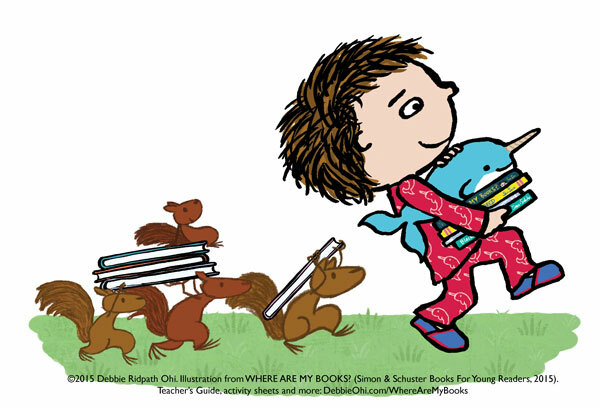 By Sue Morris @ KidLitReviews September 8, 2015 bedtime reading bookshelves Debbie Ridpath Ohi Night-Night Narwhal picture book disappearances Simon & Schuster Spencer Swimmy Where Are My Books? 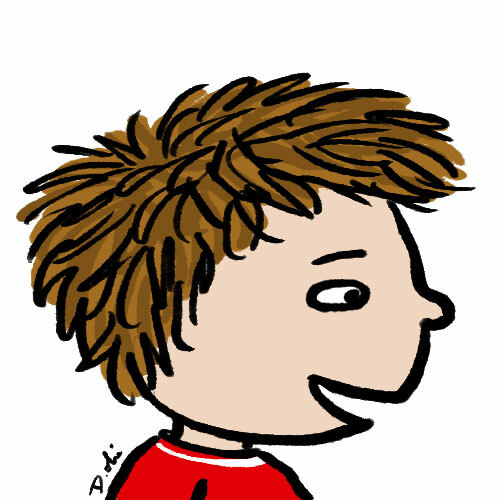 Today, Kid Lit Reviews is pleased as a fat whale flopping in the ocean to welcome Spencer. 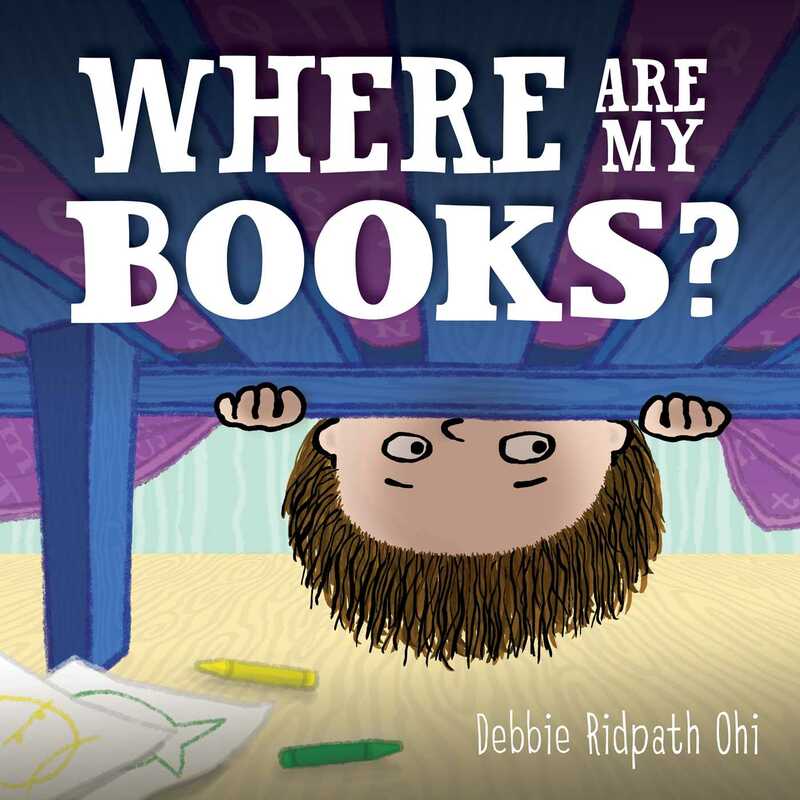 Spencer’s story has been memorialized in Deborah Ridpath Ohi’s first solo picture book, Where Are My Books? (Simon & Schuster). Spencer has an interesting story that may have happened to you or your child. One-by-one his favorite picture books go missing. But who is taking these books, late into the night? Please welcome Spencer. 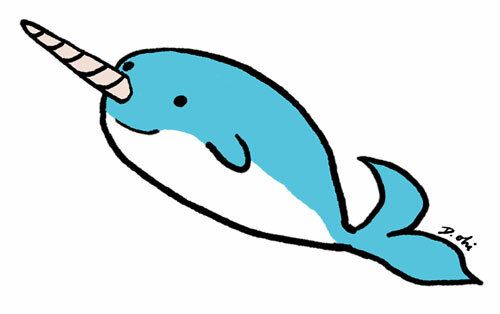 Your favorite books are all about animals, mainly water creatures, like Narwhal the whale from Night-Night Narwhal. How did you get so interested in animals? 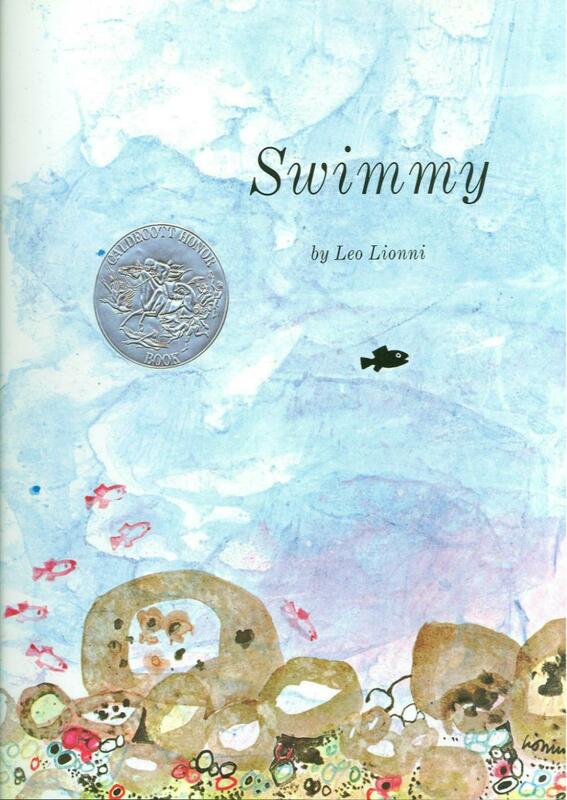 “When I was younger, my librarian introduced me to Swimmy. Do you know the book? I do. It’s Leo Lionni’s 1964 Caldecott Honor Book. Swimmy helped his friends outwit a big tuna when he showed them how they were braver, bolder, and bigger when they swam together—in the formation of a big fish—than they were simply swimming in their normal school fashion. She ate Leo!? Oh, my. Spencer, other than dearly departed Leo the fish, what is your favorite animal? That is so cool, and so is the way you organize your books when you put them away at night. Are your books in alphabetical order, or do you have a special system all your own? Dr. Seuss once said, “Not here, not there, not anywhere!” He probably wasn’t talking about bookshelves, though. At least not Ms. Ohi’s. But in your story, one-by-one your books start disappearing from your bookshelf, always during the night and always the book you were read at bedtime. 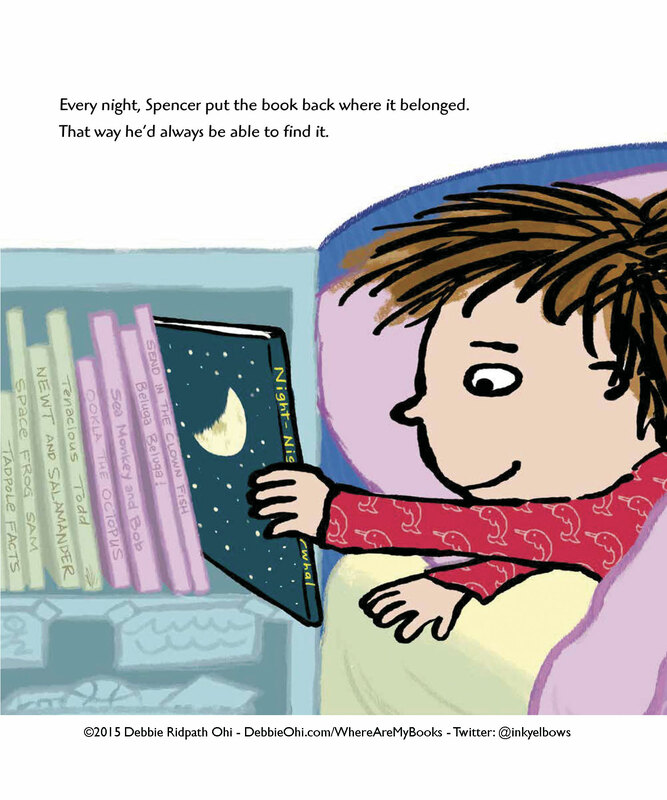 Why do you think it is always the bedtime book instead of a different title off your shelf? Spencer, your little sister cannot yet read, but you were so sure she took your books. Why? Let’s leave your story for a moment. I curious, who your favorite author and why. What about favorite character? 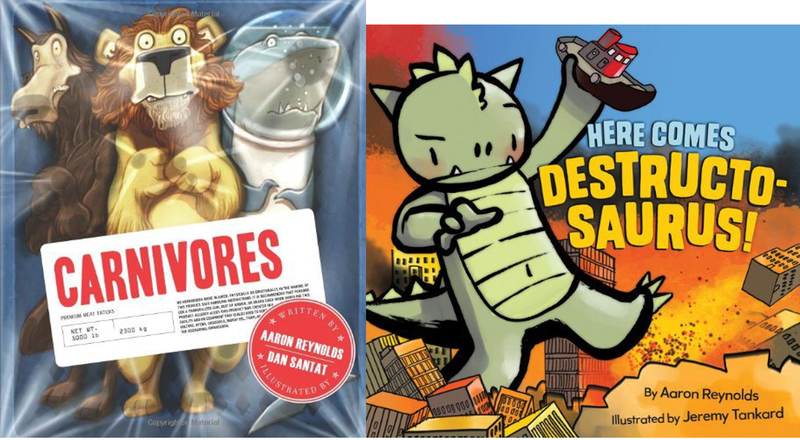 I love Aaron Reynolds’ Carnivore (reviewed here) and Here Comes Destructo-Saurus! (reviewed here). I also love that you know how to read, yet still like to listen to a bedtime story your parents read to you. What is so special about listening to someone else read? Spencer, how did you meet your author, Ms. Deborah Ridpath Ohi? 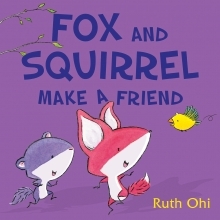 But her sister, Ruth Ohi, wrote a lovely picture book called Fox and Squirrel Make a Friend. 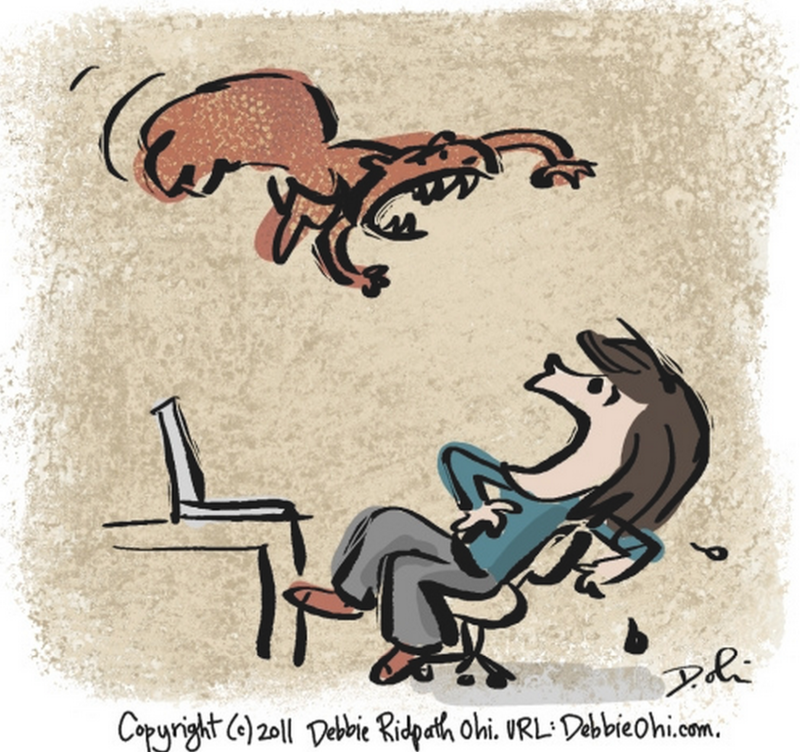 Could it be just Debbie Ohi’s imagination? So, how did you ever get her to write your story? 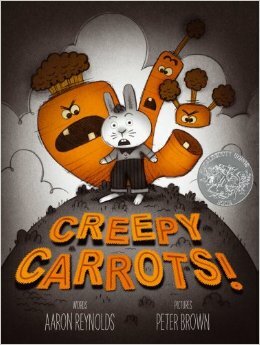 Are picture books your favorite genre? What else do you like to read? I was so thrilled your story has a happy ending. It also surprised me when you finally discovered where your books were going off to during the night. 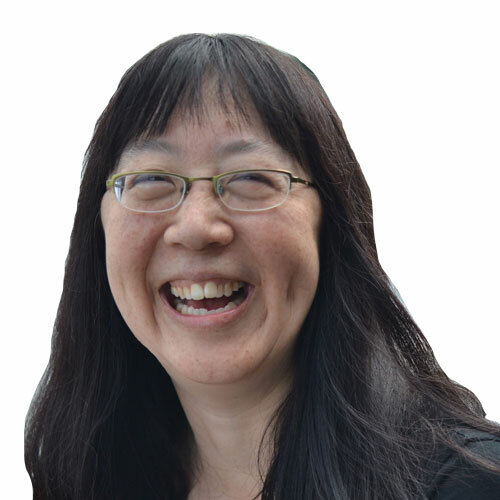 Do you plan to ask Ms. Ohi to write another of your stories? 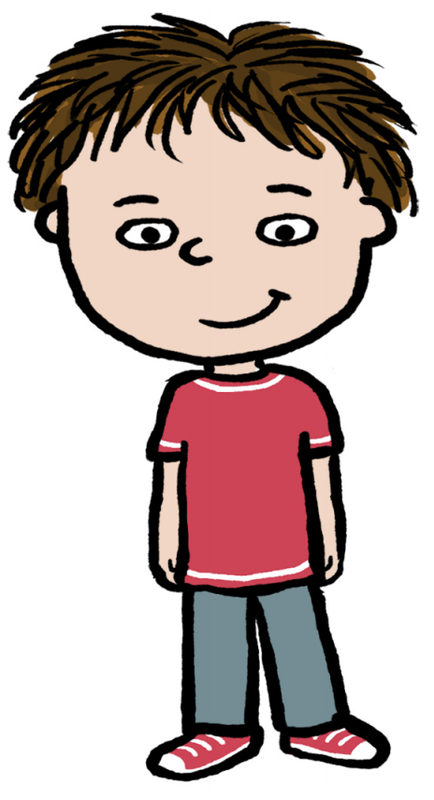 Spencer, do you know what your friend, Ms. Ohi, has planned next for her readers and when her work will be released? One final question. 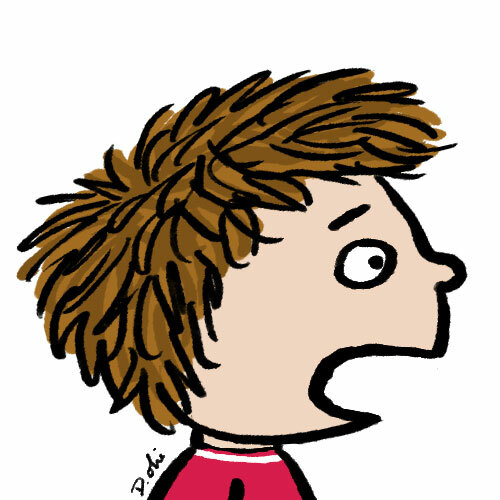 Is there anything you would like to say to readers of your book Where Are My Books? 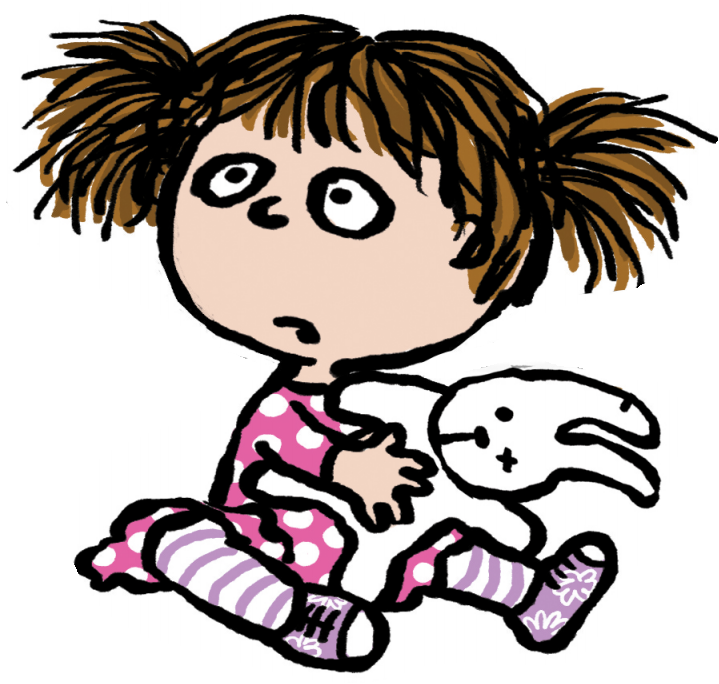 Any advice to kids who want to keep their own books from disappearing? Thank you for stopping by Spencer. I really enjoyed our conversation and I am so glad you have all your books back on your shelf. Happy reading! Amazon —Book Depository—IndieBound Books—iTunes Books—Simon & Schuster. If you would like to chat with Spencer, or any of the characters from Where Are My Books, download the unique finger puppets HERE. Tomorrow there will be links to a treasure chest of downloadables. A HUGE THANKS to Debbie Ridpath Ohi! 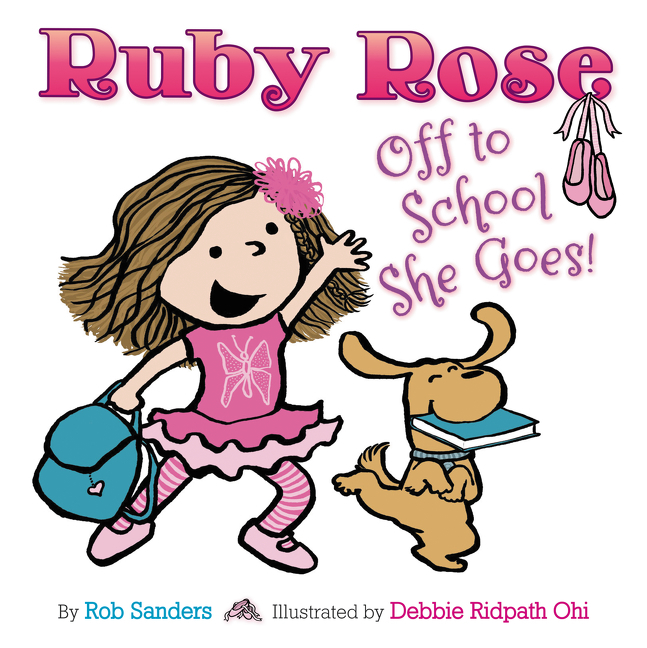 This interview would not be possible without her diligent assistance, wonderful illustrations, robust humor, childlike sense of play, fear of squirrels, and love of kidlit. Super fun interview, Debbie, I mean, Spencer! Who is this “Debbie?” Yes, Spencer did a great job considering he has less time now that he runs a library.